Almost 190,000 people have signed an online petition for the release of two Tapatio teenagers who have spent nearly ten months in prison for a crime that they did not commit. 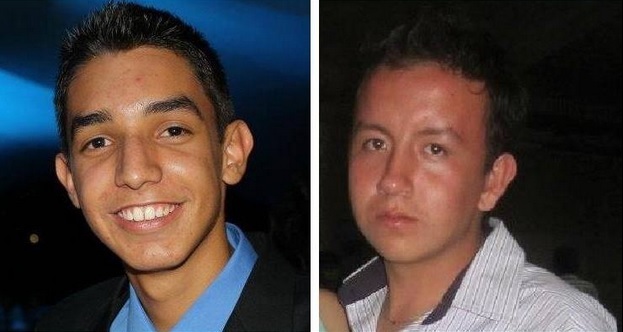 Sergio Alejandro Torres Duarte, 18, and Julio Cesar Moreno Guzman, 19, were detained at a police checkpoint in Esquinapa, Sinaloa on November 15, 2012, when officers found a package containing 914 grams of cocaine stashed in a secret compartment of their vehicle. However, the car had been bought by Torres’ father in February 2012 in an online auction of vehicles seized by U.S. authorities and the U.S. Customs and Border Protection (CBP) agency later verified that the cocaine was from the same batch originally found in the car in 2010. Despite the CBP admitting it was at fault for not having discovered the package before selling the car, the Attorney General’s Office (PGJE) in Sinaloa has still not released Torres or Moreno. The PGJE requested details of the equipment used to test the cocaine in the United States, plus a sample from each of the original packages found in the vehicle, but the U.S. government eventually responded that this would be impossible because the evidence had already been destroyed. Torres and Moreno’s lawyer Luis Noriega Ordorica says that although the petition for their release has no legal value, it could help bring about justice by pressuring Mexico’s federal government into releasing the pair. Click here to sign the petition.